Undeniable Curb Appeal! 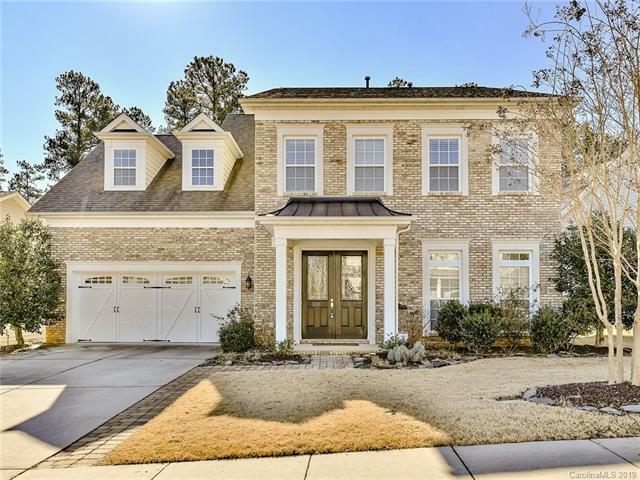 Beautiful brick-faced 2 story with accent details to the front door, garage and driveway. Fantastic fenced back yard with a stunning stamped concrete Patio curved into the grass and a planters half wall. The interior is warm and welcoming. Brand new flooring on main level and freshly painted throughout. Gorgeous Kitchen with recipe/computer niche, ample granite counter space, cabinetry, gas cooktop, and tile back splash. Featuring: wainscoting, transom windows, French glass doors, arched doorways, and see-thru fireplace for the Great Room and Living Room. Elegant Master Suite with it's own PRIVATE deck! Set in amenity rich Reserve at Gold Hill and in Fort Mill Schools!